It drives me nuts when I see that! And it really bothers me when other couponing blogs try to TELL you to price match something that you shouldn't price match. Walmart DOESN'T price match Walgreens' after-Register-Rewards price! Stop trying to get free money from Walmart! i think that they should make you show the ads; I take mine anyways that way you can't cheat, it is very sad that people are doing this! Thank you for posting this. I honestly gave up on the whole double coupon Tuesday. 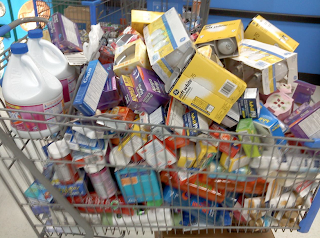 Monday nights at the Utah county Walmarts are insane, and so many people are so dishonest. It breaks my heart that people will trade integrity to save money. It's stealing. It's sad. It's pathetic. Just my opinion. 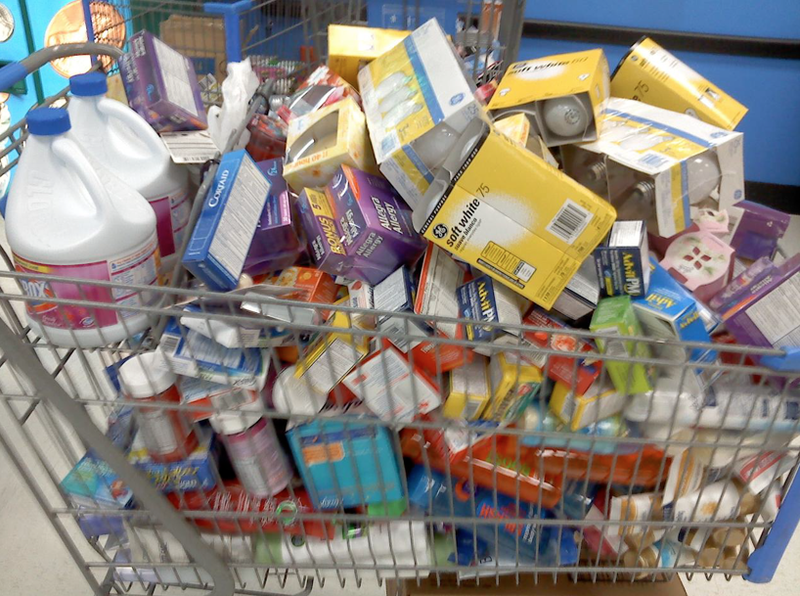 Horrible that shoppers are stealing from Walmart and taking advantage of their very generous price matching policy! I think they should put up a sign saying price match liars will be prosecuted! One kind checker last week lowered the price of my fresh pineapple because she was already aware of a lower price elsewhere that I didn't know about! Shame, shame on those cheaters! This just makes me sad. It is a sad day when someone chooses to give up their integrity just to get a good deal. I always take the ad that I am price matching out of, because it makes me feel good to know, that if I'm questioned, I can show them that I am being honest. Amy, your name will never be drug through the mud when I am coupon shopping. I appreciate all you do. Your hard work helps my family make it through our tight budget. I really appreciate you. Isn't Walmart using Utah County as a test site for double coupons? If that's the case, then these people are potentially ruining the idea of having it spread to other areas (like for me here in No. Utah)! It bums me out to see people be so dishonest. Times may be tough, but NOTHING is as tough as having a guilty conscience.